With less than three weeks left until its official reveal, OnePlus 2 has just got one other piece of hardware confirmed by the Chinese company that is going to release it on July 27. According to OnePlus, its upcoming flagship smartphone will pack no less than 4GB of RAM. 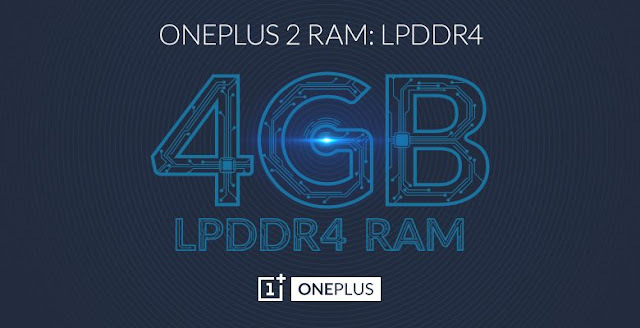 Not only that, but the RAM inside the OnePlus 2 will be the latest and greatest on the market, LPDDR4. OnePlus explains that the reason they have decided to go with the LPDDR4 is the lower power consumption for better battery efficiency. This means that OnePlus 2 users will be able to use their smartphone without draining the battery too fast. “With LPDDR4, you get twice the bandwidth performance as the LPDDR3 at the same power consumption profile. The RAM of the OnePlus 2 uses a lower operating voltage than its predecessor, decreasing from 1.2V to 1.1V. And with speeds up to 32 GB/s, it is also twice as fast as the LPDDR3. It offers optimal support for power-saving low frequency mode that brings clock speeds down when performing those everyday and necessary tasks,” says OnePlus in a blog post. Since the smartphone has also been confirmed to be equipped with a 64-bit octa-core Qualcomm Snapdragon 810 processor, the OnePlus 2 will be able to use all 4GB RAM to its maximum potential. For those out of the loop, 32-bit chipsets can only make use of up to 3GB RAM. Keep in mind that, this is the last reveal that OnePlus offers before the smartphone's official unveil, which is set for July 27. In the same piece of news, OnePlus CEO Pete Lau promised fans that OnePlus 2 will be priced under $450. 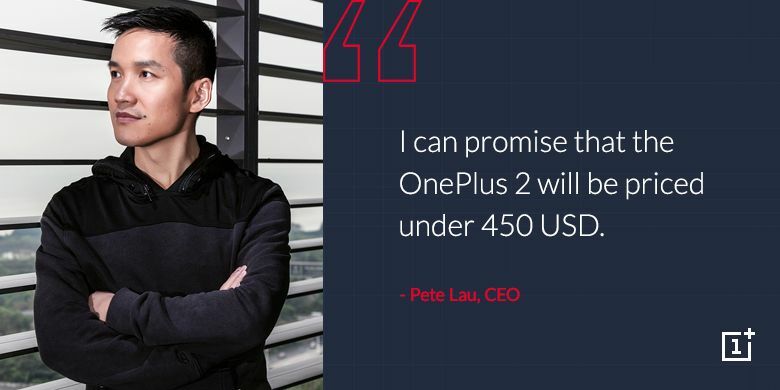 However, he did not say if that's the base price for the smartphone or for the 64GB model, which is likely to be announced as well.